Helpful articles and tips to help you get the most out of your BlackBerry experience! With BlackBerry 10 releasing on the masses, some users (including myself) have a small issue. Our BBID email address was an xxxx@yourcarrier.BlackBerry.net address. The loss of the BIS means those email address' are no longer functional. luckily the fix is quick and painless. Just click on the link below and log in using your existing BBID. 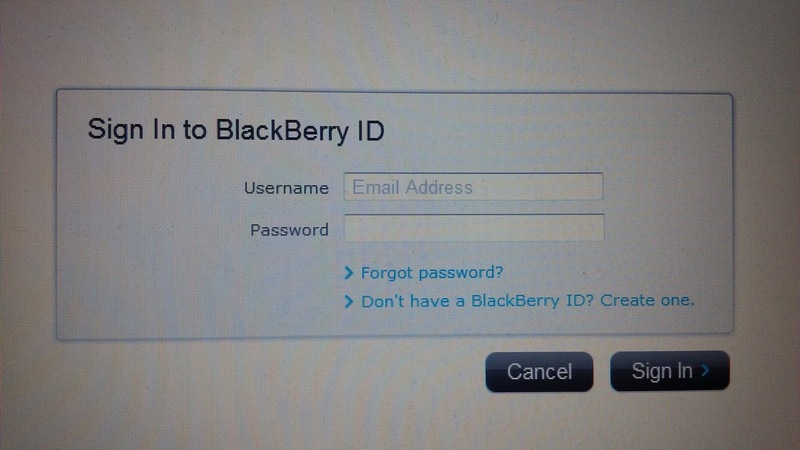 Once logged in, go to edit and replace your existing BlackBerry.net email address with any new email address. Click save and you're all done. You will receive a confirmation email to your new BBID email address. That's it! Enjoy your new BlackBerry 10device! I'm a self proclaimed BlackBerry addict. I've been using them since the early 2000's, and love them to death! I always try to show people how to get more from their device, and am head tech support for most of my BBM contacts. This blog will attempt to provide a way for me to reach the masses with BlackBerry related information.